FIRST ALERT: More rain is headed our way, then it’s getting really cold! COLUMBIA, SC (WIS) - Prepare yourself for some big weather changes in the Midlands over the next several days. 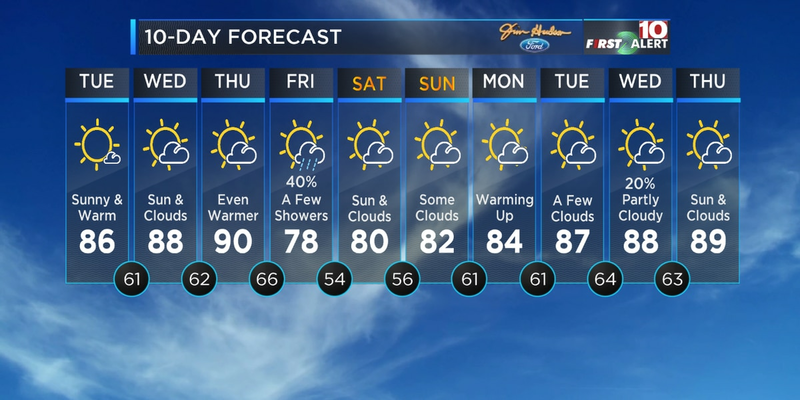 · Temps will climb through the 60s by Friday and Saturday. 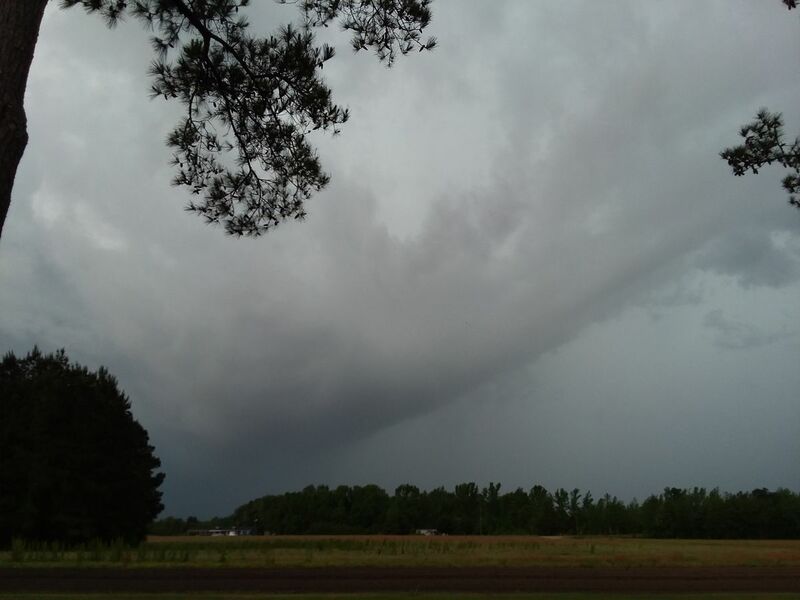 · More rain moves into the Midlands Saturday into Sunday. · In fact, a First Alert has been posted for late Saturday night into Sunday morning for the potential of heavy rain. A rumble of thunder can’t be ruled out. Winds will pick up as well on Sunday. · Monday is an Alert Day for the bitter cold. Black ice is possible as temps dip into the 20s. Wind chills will be in the teens. As we move through your Thursday night, expect mostly cloudy skies as a weak cold front approaches the Midlands. 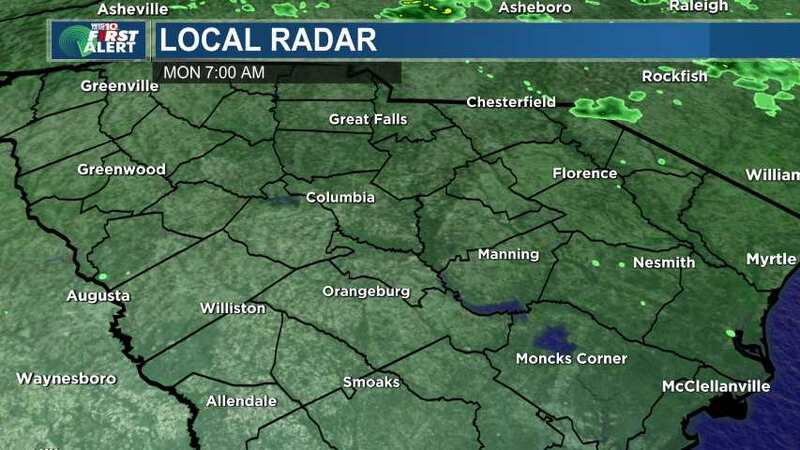 A few showers are possible early, but it won’t rain all night. Low temperatures will dip into the low to mid 40s. For Friday, most of the day will be dry, but we will hang on to some clouds to call sky conditions partly sunny. Highs will warm into the mid 60s. 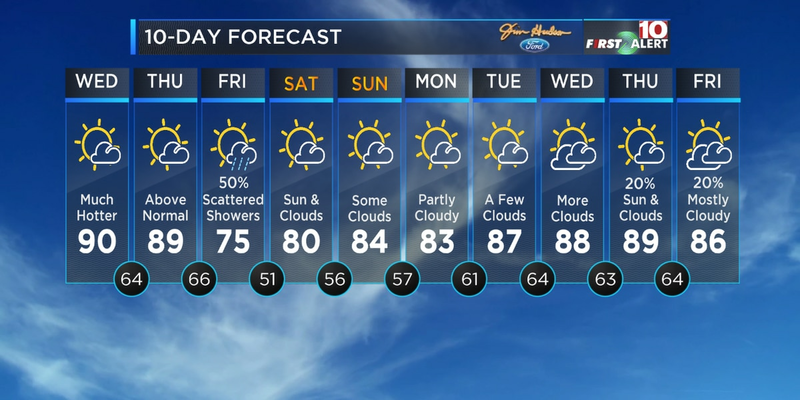 We’re not expecting a complete washout for your weekend. However, we have adjusted your First Alert for the weekend. Here’s the deal. 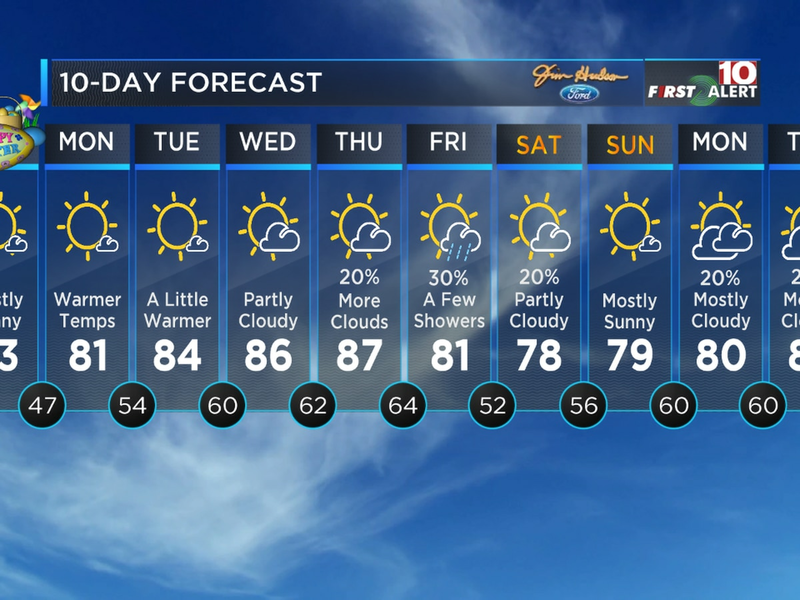 A cold front will move into the Midlands Saturday into Sunday. We’re expecting scattered rain to move into the area Saturday, with the heaviest of the rain by Saturday night into early Sunday morning. Some of the rain will likely be heavy at times. A rumble of thunder can’t be ruled out either. Once the front passes to our east by Sunday afternoon, the rain will move away, along with the clouds. On top of that, our winds will begin picking up through the day, with gusts as high as 30 to 35 mph. Highs will be in the mid to upper 60s Saturday, then the mid to upper 50s by Sunday. Behind the front, our temperatures will drop significantly! That’s why Monday is an Alert Day. An arctic airmass will settle into the area, giving way to temperatures in the low to mid 20s Monday morning. 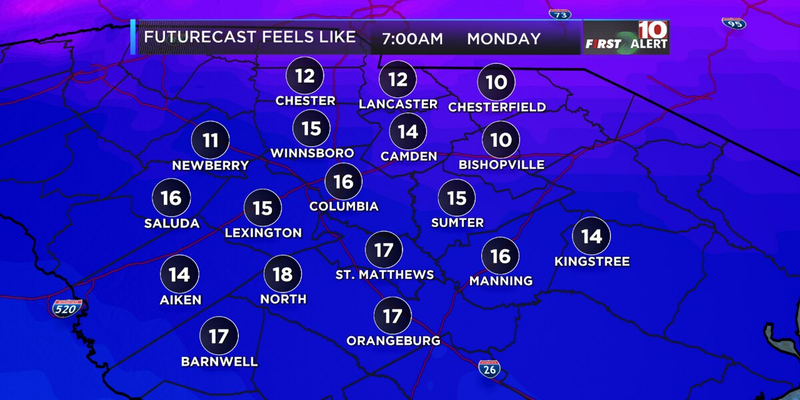 Wind chills will likely be in the teens! Start planning ahead. Also, with any lingering moisture on the ground, black ice will be a concern. Be careful on the roads. Afternoon temperatures will only rise into the low 40s. Temperatures will return to the mid 20s by Tuesday morning. Highs will be in the low 50s. Friday: More Clouds. Mild. Highs in the mid 60s. Winds: W 5 mph. Saturday: Mostly Cloudy. Scattered Showers (50%). Highs in the mid 60s. Winds: SW 5-10 mph. Sunday: Mostly/Partly Cloudy. AM Rain (50%). Windy. Highs in the mid 50s.